Homeopathy (also homœopathy or homoeopathy; from the Greek ὅμοιος, hómoios, "similar" + πάθος, páthos, "suffering" or "disease") is a form of alternative medicine first defined by Samuel Hahnemann in the 18th century. Homeopathic practitioners contend that an ill person can be treated using a substance that can produce, in a healthy person, symptoms similar to those of the illness. According to homeopaths, serial dilution, with shaking between each dilution, removes the toxic effects of the remedy while the qualities of the substance are retained by the diluent (water, sugar, or alcohol). The end product is often so diluted that it is indistinguishable from pure water, sugar or alcohol. Practitioners select treatments according to a patient consultation that explores the physical and psychological state of the patient, both of which are considered important to selecting the remedy. Claims for efficacy of homeopathic treatment beyond the placebo effect are unsupported by scientific and clinical studies. While advocates point to positive results reported in high-impact journals as evidence for its efficacy, the number of such high-quality studies is small, the conclusions are not definitive, and duplication of the results, a key test of scientific validity, has proven problematic at best. Meta-analyses of homeopathy, which compare the results of many studies, face difficulty in controlling for the combination of publication bias and the fact that most of these studies suffer from serious shortcomings in their methods. Homeopathy is scientifically implausible and "is diametrically opposed to modern pharmaceutical knowledge." For example, the common use of remedies that are so highly diluted that they contain no molecules of the substance being diluted is in contradiction to mainstream science's basic understanding of how nature works.] The lack of convincing scientific evidence supporting its efficacy and its use of remedies without active ingredients have caused homeopathy to be regarded as pseudoscience quackery or, in the words of a 1998 medical review, "placebo therapy at best and quackery at worst." Homeopathic remedies are generally considered safe, with rare exceptions although homeopaths have been criticized for putting patients at risk by advising them to avoid conventional medicine, such as vaccinations anti-malarial drugsand antibiotics. 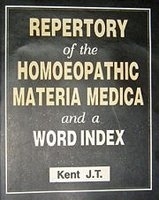 In many countries, the laws that govern the regulation and testing of conventional drugs do not apply to homeopathic remedies.Current usage around the world varies from two percent of people in the United Kingdom and the United States using homeopathy in any one year to 15 percent in India, where it is considered part of Indian traditional medicine. In the UK, the National Health Service runs five homeopathic hospitals,and in the 1990s, between 5.9 and 7.5 percent of English family doctors are reported to have prescribed homeopathic remedies, a figure rising to at least 12 percent in Scotland. In 2005, around 100,000 physicians used homeopathy worldwide, making it one of the most popular and widely used complementary therapies. Homoeopathy is an effective alternate to antibiotics in infectious diseases, producing no toxic side effects and bringing about rapid recovery. Homoeopathy has definite treatment for most of the infectious disease such as Sinusitis, Tonsillitis, Bronchitis, Pneumonia, Tuberculosis, Meningitis, Otitis media (pus from ear), Gastroenteritis (vomiting-diarrhea), Dysentery, Urinary Infections, etc. Viral infections such as common cold, influenza, measles, Chickenpox, mumps, viral hepatitis (jaundice), viral meningitis etc. are very well treated with homoeopathy. Allopathic system has no curative treatment for viral diseases except infusing antibiotics under the pretext of preventing secondary bacterial infection. Homoeopathy is not against surgery. Surgery is an art and science by itself. Surgery is called forth in the conditions where medicines have limited or no role, and where surgical aid, operation can cure or improve the condition. There are number of diseases which are labeled as 'surgical', where homoeopathy works curatively and can avoid surgery. Some such ailments are: Septic recurrent Tonsillitis, Piles, Fissure-in-ano, Fistula, Appendicitis (except gangrenous), Chronic ear discharge, Vocal cord nodules, Polyp in nose-ear, Kidney & Biliary (small) stones, small size Uterine Fibroid, Ovarian Cysts, Warts, Corns, etc.